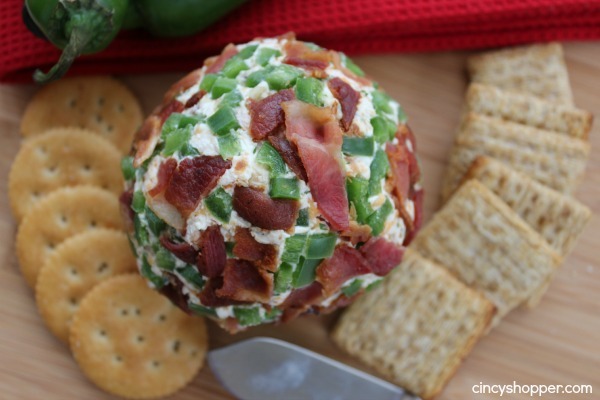 If you are needing an appetizer for your upcoming holiday entertaining, consider making this Bacon Jalapeno Cheese Ball for your guests. 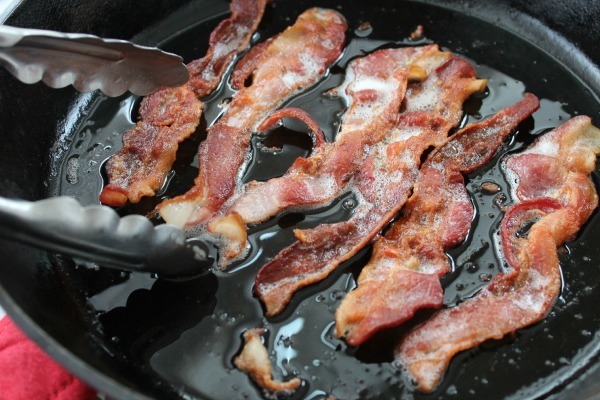 I promise it will be a sure hit if you have spicy bacon lovers on your guest lists.. This cheese ball is so quick and simple. 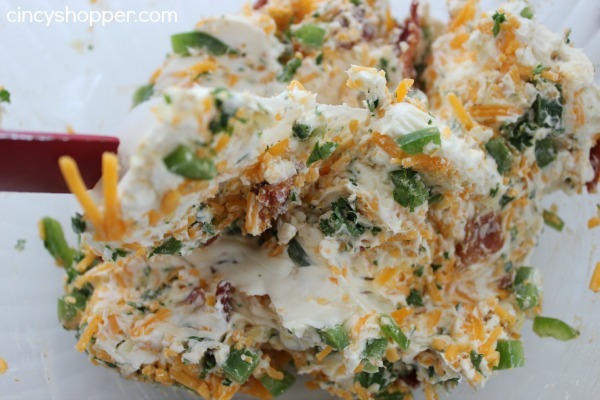 I have a few guests dropping in this evening and thought this Bacon Cheese Ball with a bit of kick would be great for my guests to snack on. Just grab yourself some cream cheese, bacon (you could even purchase pre-cooked bacon to save on time), jalapenos and some spices from your spice cabinet. What a quick and easy appetizer to offer up. I have never made a cheese ball. I have always been envious when attending gatherings with cheese balls in the spread. I thought they were difficult to make. Not so as I just found out. 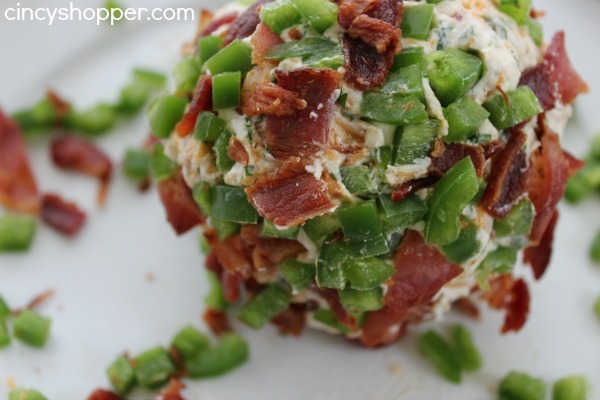 I know this Bacon Jalapeno Cheese Ball will quickly become one of my favorite entertaining foods. 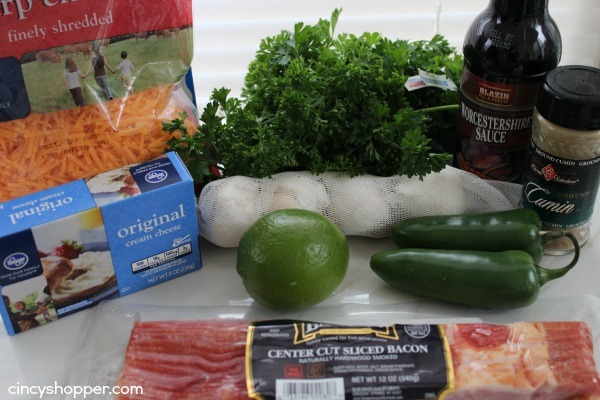 Bacon and Jalapeno oh my! Just drop all the ingredients in a bowl and mix em up. So simple and I am loving all the flavors together. 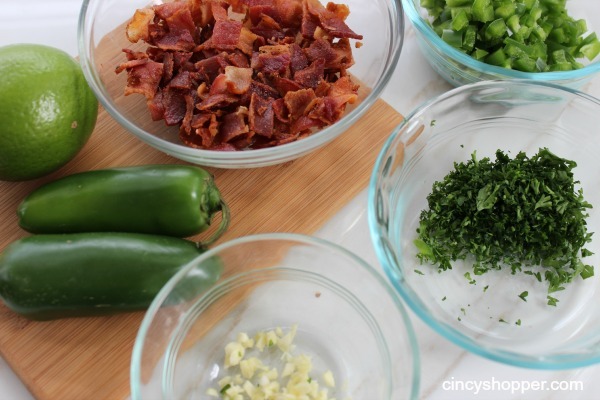 Rolling your ball in jalapenos and bacon bits is quite easy just be sure roll it up more evenly than I did, lol. I was anxious to get this ball made and realized I could have done the toppings a bit more uniform. 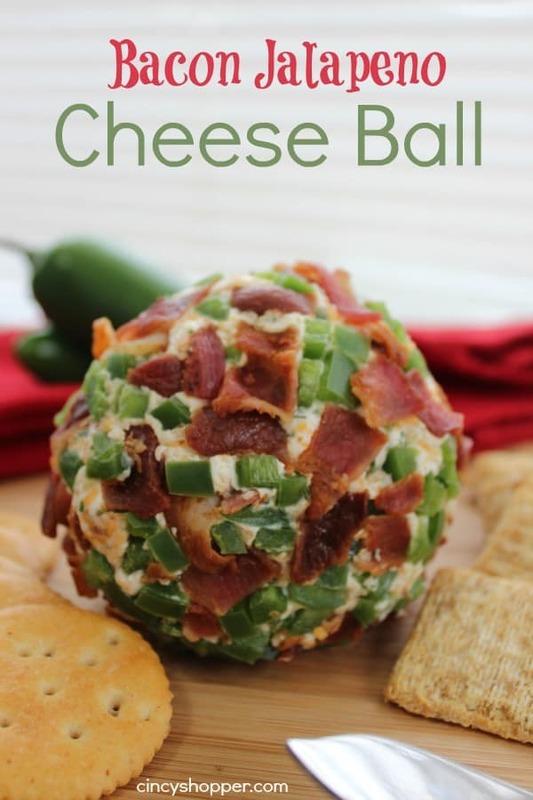 Just toss in some of your favorite crackers after chilling this yummy ball for about an hour or so and you have a wonderful party appetizer to offer your guests. My hubby dipped into this ball before I could even get it chilled. He loves spices and bacon of course. He is anxious for guests to arrive so he can eat more, ha ha! What appetizer items are you serving your guests this holiday season?